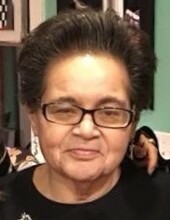 Ms. Debra Thomas Hood, 58, of Bamberg, SC passed away Wednesday, November 14, 2018. Funeral Services for “Debbie” will be held 11:00am Saturday, November 17, 2018, at the First Church of the Nazarene, 97 Sanders Street, Bamberg, SC with the Reverend Kevin Sprague officiating. Burial will follow at Bamberg County Memory Gardens. Family will receive friends one hour prior to the service from 10am until 11am at the church. Ms. Hood was born in San Diego, California on June 15, 1960 to Freddie (Bunk) and Wilma P. Thomas. She was a member of First Church of the Nazarene. She is survived by her son Derek Hood, brother Robert (Lisa) Thomas, one niece Elsa Thomas and one nephew Emery Thomas. The family suggest memorials be made to First Church of the Nazarene, PO Box 313, Bamberg, SC 29003.